Has this happened to you? It’s not unusual to loose your style mojo when it’s literally just you and your laptop all day. 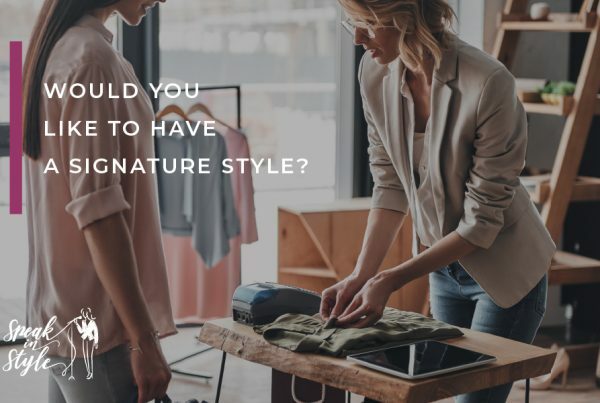 Perhaps you used to know what to wear in your corporate job, but now as an enterpreneur you haven’t quite found your signature style? Maybe you’d like to up your style game but the reality keeps you in jeans and t-shirt? 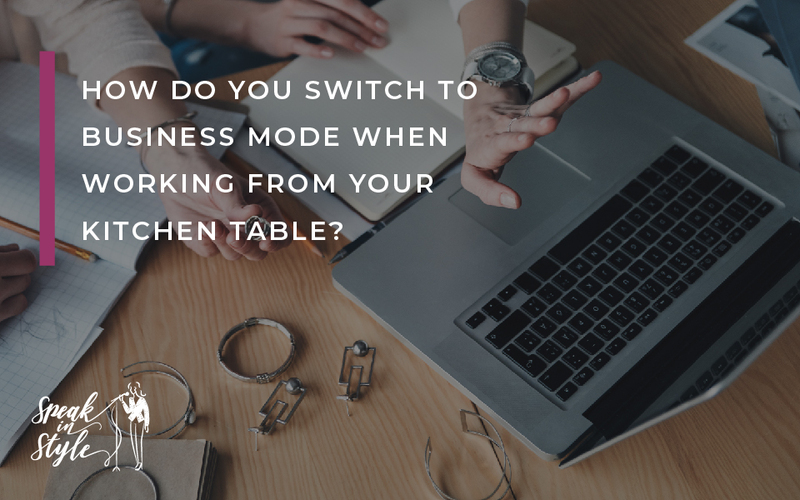 Particularly if you don’t have a commute that allows you to mentally distinguish between work time and home time a change in clothes and a dedicated work space in your home can be a great tool to help with the mindset shift. Clothes have a huge impact on the way we carry yourself, so what is the solution? 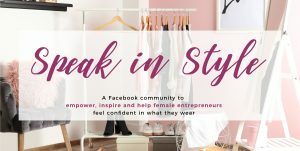 When I asked this question in a popular Facebook group for female entrepenuers, I realised that it depends on the individual if clothes make a difference to their productivity. 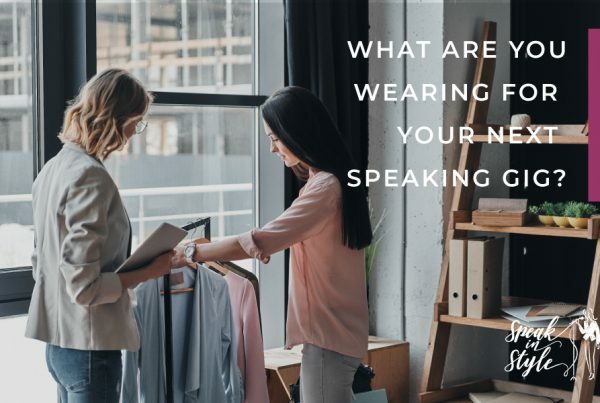 For example, Corina from Pixifire SEO and Digital Marketing says: “I have to wear shoes, or I can’t work.“ Many others opt for jeans with a nice top to make them feel “pulled together“. Having a dedicated area in your home is a huge help for many to stay focused: for some it’s a shed, for others a desk with a room divider to hide it away when they are not working. You’ll be glad to know that it doesn’t take dressing up like an investment banker on Wall Street to transport you into work zone at your kitchen table. I’ve found using jewellery is a fabulous way to switch on/off from work. 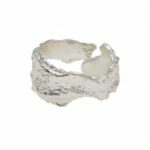 Whenever I need to be present as a business owner I’m wearing my favourite ring from Deborah Blyth Jewellery and my mind seems to know it’s time for action as soon as I put it on. Equally, I couldn’t possibly relax wearing it, so it comes off as soon as “work” is finished. Others may decide to make it part of their routine to put on a bracellet and lipstick whenever they engage in work related activities. Maybe it’s a particular necklace for you? Whatever “small“ items you decide on, your brain will subconsciously pick up on the signal and associate work mode with wearing them. So even though you are in jeans and (a nice!) top, you are subtly elevating your style in a simple, hassle-free way. All it takes is some lipstick and one piece of jewellery! Another easy switch is to go from t-shirt or jumper to a nice blouse. It doesn’t need to be a stiff collared shirt that requires ironing to give you a professional feel. With a gently flowing blouse that works for your shape and colouring you can even stay in your jeans. The blouse will do all the hard work for you, especially if the unexpected skype call demands professional attire at the switch of a button. Does it really work, you may ask? Can looking good really make you more money (even if nobody actually sees you!)? 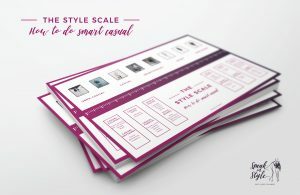 Katie Woodland believes that what you wear definitely impacts how you see yourself and ultimately how successful you end up being. “When I first started my business, I wore clothes depending on what I was doing. So if I had clients I’d get dressed and if not then I’d stay in my PJ’s. It’s remarkable what we can achieve once we’ve found the right “armour“ for our business battlefield. 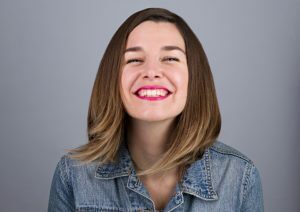 Corina wears shoes at home, I have my ring to get me into business mode and Katie wears dresses and other gorgeous pieces that make her feel awesome! Everyone is different and there is certainly no one-size-fits-all. It might take some experimenting to find your very own “business uniform”. Nonetheless, our clothes can be a secret super power, not only in our interactions with others but also how we show up for ourselves. 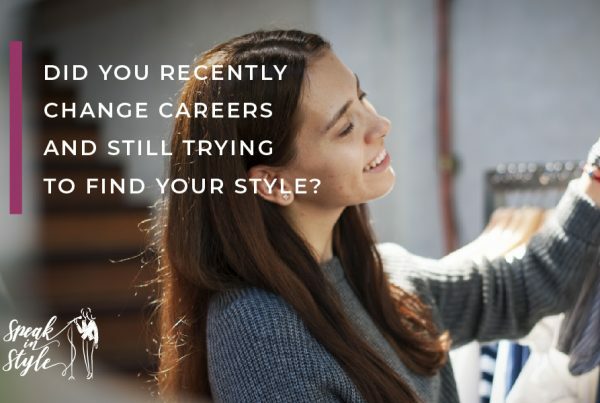 Could your work wardrobe do with an upgrade? What do you need support with right now to make that happen? 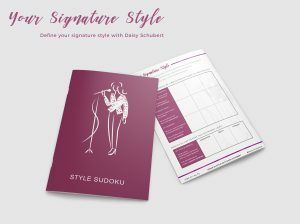 If you’d like some accountability and motivation, I’d love to see you in my Facebook Community: Speak in Style where I can answer all your questions. I sometimes work in my PJs! Shocking, I know! Even worse when my bed turns into my “desk”! But here is something you may not know about me: I live with CFS/ME and Fibromyalgia. Getting dressed can be exhausting, so I try to stay balanced. When I have a bad day, I try to use all my mental energy on my business before doing anything physical, ie have a shower and get dressed. On some days that doesn’t happen until lunch time, but I’m okay with that. It took me 17 years to accept how my body works and make the most of it. There are still times when I feel like a whimp, but mostly I’m proud of how much I get done, even if some of that is happening in my dressing gown. So if a health condition is making you less productive than you’d like to be, don’t get discouraged. There is no formal dress code for working from home, especially when you are your own boss. Wasn’t that one of the reasons you started out on your own in the first place? Take it in your stride, do the little things that feel good to you. And don’t give up! You got this!